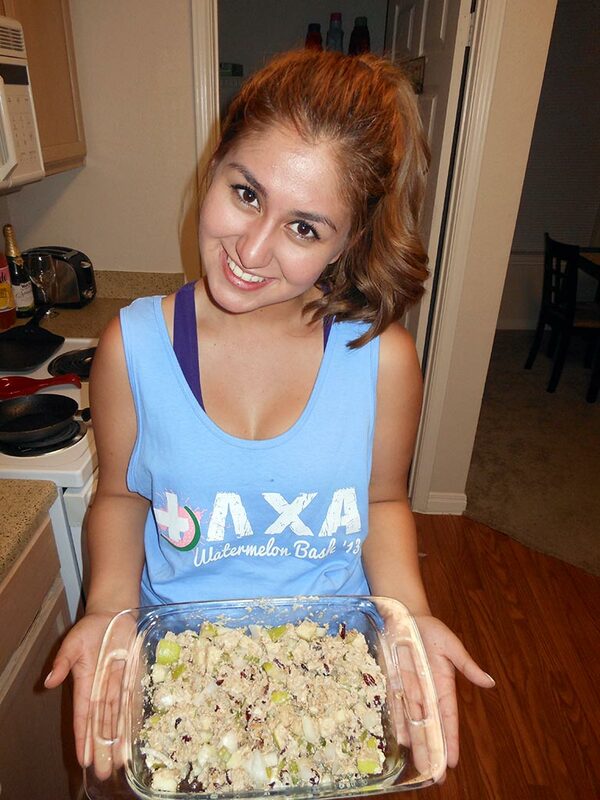 Junior biophysics major Cassandra Antell, cooks chicken for a fresh salad. The dish is simple and tasty, perfect for a quick and healthy meal during a busy week. Season the chicken to your liking and cook it thoroughly. Shred the cooked chicken and set it aside in a mixing bowl. Chop the celery, apples and onion then add it to the mixing bowl. Add the almonds and dried cranberries while also stirring in the Greek yogurt. Season with salt and pepper and serve with club crackers. This recipe makes about six servings of salad.